It is a requirement of your Agreement, that the goods are protected against Theft and Accidental Damage. We can arrange Theft & Accidental Damage Cover for £2.01 per week. It is a requirement that products purchased on a credit agreement are insured. We can offer Theft and Accidental Damage Cover for £2.01 per week. 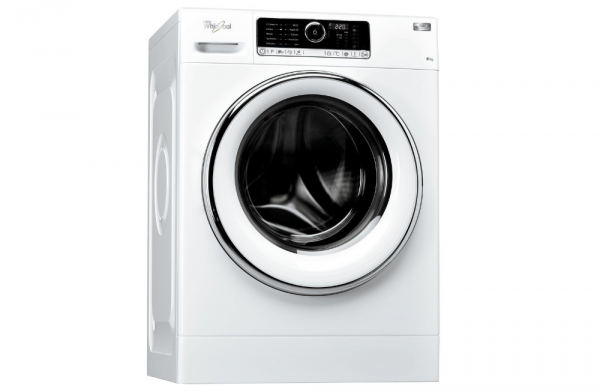 The Whirlpool FSCR90420 Supreme Care washing machine a 9Kg washing capacity and a 1400rpm spin speed. It also boasts one of the quietest spin cycles on the market. A powerful jet in the drum sprays directly onto your clothes saving water while offering the best rinse performance. For your convenience this washing machine can tumble your clothes after every wash for up to 6 hours after the cycle ends, keeping your clothes smelling and feeling fresh if you aren't available to remove them immediately. A convenient 15 minute quick wash for 3kg of washing this machine is also perfect for the moments when you need clean clothes quickly as well as intensive rinse for those tough stains.